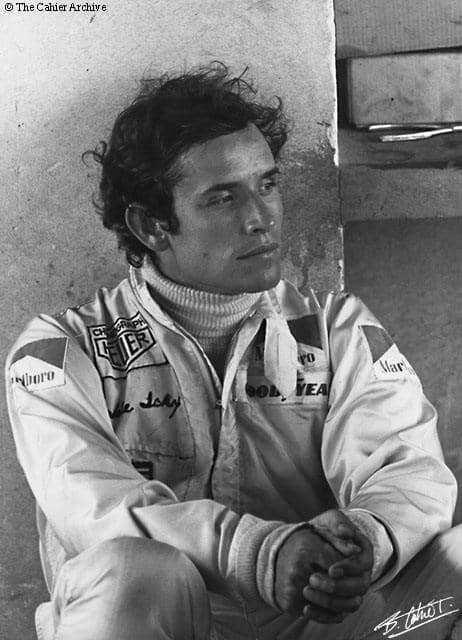 Jacky Ickx was born and raised in a family where cars were very important. His father Jacques Bernard Ickx was a motoring journalist. Therefore Jacky was surrounded by cars from his early childhood. Not to be surprised he became fascinated in speed from early on, and at the age of 16 he was driving a 50cc motorcycle. Soon Ickx replaced the 50cc motorcycle by a 125cc trial bike that he drove to a European Championship title in his class. In 1963 the famous Belgian pilot Paul Frère learned Jacky Ickx how to race a car at the dutch Zandvoort race-track. His first race car was borrowed to him by Albert Moorkens, the Belgian importer. He never forgot that, and he honoured Albert Moorkens as one of the most important men in his career. Jacky Ickx carries the nickname ‘Mister Le Mans’. Who’s surprised about that. As a 6 times winner of the much demanding Le Mans 24H. He can claim that title more than anyone else. Next to his extraordinary achievements in the endurance races, he was a quite succesful F1 pilot too. 8 wins and 25 podium finishes. We’ve seen worse results in F1, haven’t we ? After his active race career, the city of Le Mans awarded him the title of ‘honorary citizen of Le Mans’ in 2000. Up to now, he’s the sole sportsman who received this award. Nowaday’s Ickx is often seen at races, as a ambassador for Chopard watches and near the track when his daughter, Vanina Ickx is behind the wheel. Over the years lots of books haven been written about this legend.